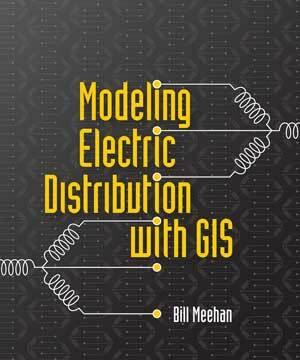 Through the story of Ron, a fictional new GIS manager at AnyTown Energy, this book illustrates how electric utilities can improve operations by implementing GIS. Ron must create a GIS model of the electric distribution network that will form the basis for implementing an enterprise GIS that is more than just a mapping system. His goal: to model the behavior of the electric distribution network from both a technical and a business perspective. The book's 12 chapters follow his progress toward this goal beginning with his evaluation of the legacy mapping procedures he has inherited and moving through chapters that discuss developing a GIS model and implementing smart grid technology. Sidebars, labeled "Ron's notes," are sprinkled throughout the book and provide useful insights and fundamental information about electric distribution systems. Based on author Bill Meehan's many years of experience with the electric industry, the book's narrative style is engaging. The appendix includes sections describing the basics of electricity, its history, electric distribution equipment, a detailed electric utility glossary, and a comprehensive list of related books. Meehan, a professional engineer (PE), is the director of utility solutions at Esri and a former vice president of electric operations at a major electric and gas utility. He is also the author of Empowering Electric and Gas Utilities with GIS (Esri Press 2007), Esri Press, 2013, 334 pp., ISBN: 978-1-58948-241-8.